Which Shipping Crate to Choose for Your Artwork? 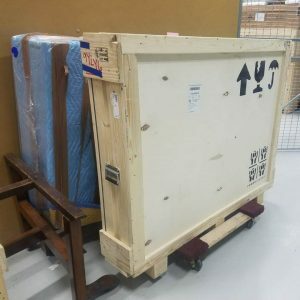 Whether it comes to a valuable painting, a fragile sculpture, or any other piece of art, it should be transported in a durable shipping crate for a simple reason: it is the only right way to ensure that the artwork will arrive at the destination intact. Hence the question arises: which shipping crate to choose for this purpose? A shipping crate is a special container used to store or transport fragile, delicate, heavy, and large items of any kind. Such crates can be made of plastic, metal, wood, and some other materials, depending on what exactly you are going to ship. For example, plastic crates are used for storing and transporting clothing, pharmaceuticals, gadgets, fruits, vegetable, and a whole range of other products. Metal crates are often constructed as open crates that resemble cages, but since they are rather heavy, such crates are rarely used in the shipping industry. 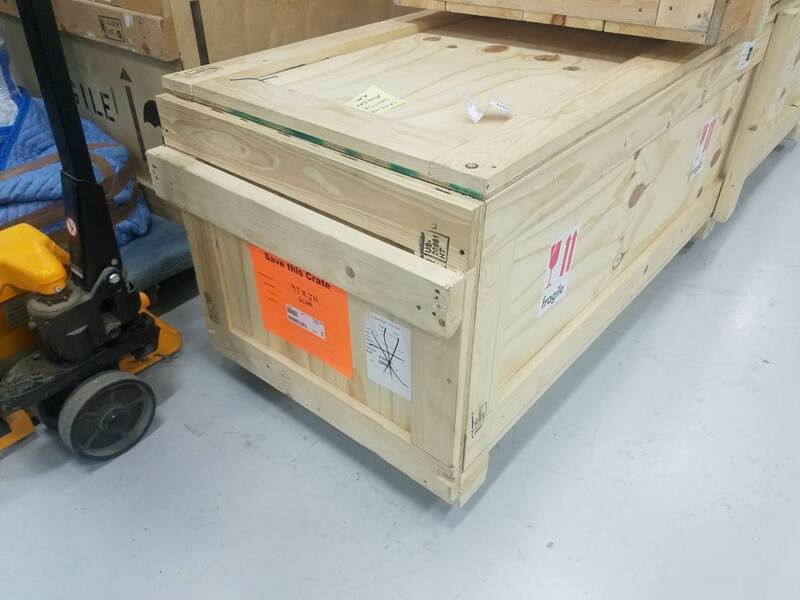 Finally, wooden crates are the most popular type of the shipping crate and the only right one for transporting a fragile artwork over a long distance. 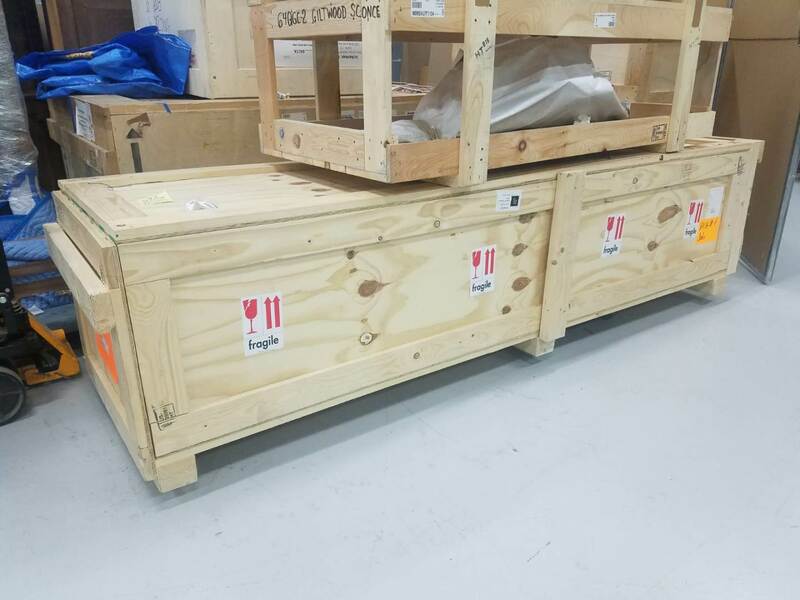 At Fine Art Shippers, we have been shipping fine art both nationally and internationally for more than two decades, and we always use wooden crates for transporting delicate and fragile items. Moreover, we do not buy standard crates; we manufacture them in-house in our own fully equipped facilities. 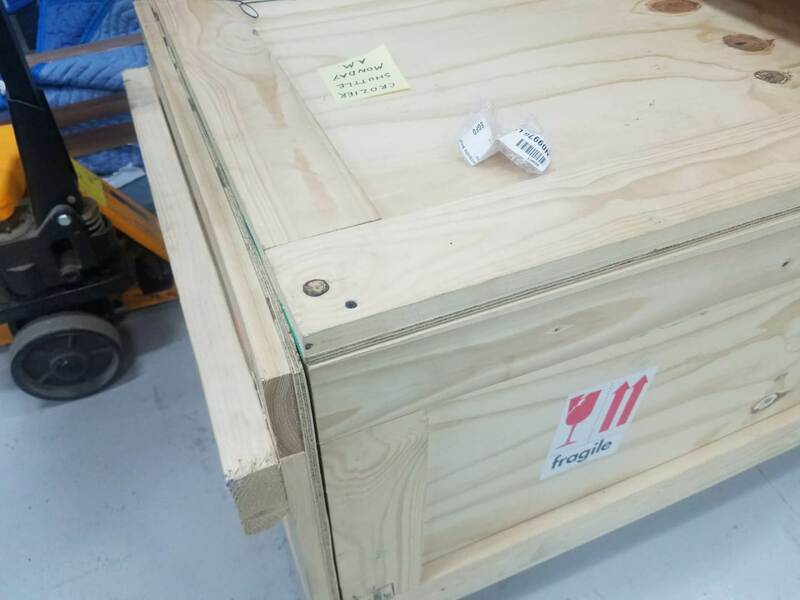 After all, only if the shipping crate is designed and built according to the exact dimensions of the artwork, it can protect the item inside against damage in transit. Plus, we also take care of proper packing, using only the best art packaging and wrapping materials, thus providing the artwork with additional protection inside the wooden crate. In the photos, you can see a perfect example of the shipping crate made by our team in New York. Fine Art Shippers offers professional art packing and crating services in all the major art destinations in the world, including New York, London, Paris, and Hong Kong. Now that you know which shipping crate is the best for your artwork, please feel free to contact our team! Whatever art packing and crating assistance you need, we will be happy to help! Moreover, all our services are not only high-quality but also very competitively priced, with a massive range of options for any budget. Just request a shipping quote, and we will give you an estimate you will love!